Comece com o embarque pela manhã ou à tarde embarque em um hotel selecionado na área de Grace Bay Beach. Suba a bordo de seu catamarã e contemple as 7 milhas (11 km) de extensão ininterrupta de areia branca que forma a Grace Bay Beach. Sente-se à sombra no convés inferior com um copo de ponche de rum ou cubra-o com um protetor solar para bater nas espreguiçadeiras da cobertura. No local do snorkel, coloque sua máscara e nadadeiras e deslize na água ao redor do recife vibrante. Aproveite o mar límpido do Caribe enquanto mergulha com snorkel entre peixes tropicais e tartarugas marinhas. Mais tarde, navegue para um campo de conchas nas proximidades para assistir ao seu primeiro companheiro mergulhar no almoço. Com a concha recém-pescada, sua tripulação irá preparar um ceviche fresco, acompanhado de água, refrigerante, cerveja ou ponche de rum. Passe pelo Pine Cay e Fort George Island, depois pare no Little Water Cay para conhecer as iguanas nativas da rocha. Preste atenção para saltar golfinhos no caminho de volta para Grace Bay Beach e termine com o desembarque no hotel. This was one of the highlights of our trip. The guides were fun and personable. Great music, great snorkeling, great rum punch and beer, and some of the best fresh conch ceviche I had all week! If you're going to Providenciales, book this fun excursion! Although the boat picked up later than scheduled, everything else was great! Crew was entertaining, water was perfect, and we saw sea turtles, barracuda and lobster on our snorkel trip. While visiting Iguana Island we saw the crew prepare fresh conch ceviche, swam, drank rum punch and also saw tons of iguanas! The trip, the crew and the other vacationers made this a fantastic experience. This trip was a lot of fun! The staff was friendly and made everyone feel comfortable. They kept the pace moving as we explored the ocean and Iguana Island. We went on the 4 hour day snorkeling cruise with Delroy of Island Vibes and loved it. They were great with their presentation that included jokes and a laid back vibe. They picked us up right from the beach at our resort. The boat did get full, but they treated us like a community and made us introduce ourselves. After taking us to a great place to snorkel we then went to Iguana Island to site see. They gave us about a hour to see the island. On departure we stopped to enjoy diving off of the diving board and had use of the water slide. They served rum punch, beer, soft drinks, sandwiches, and conch ceviche. You should book this trip. The tour guys on board were very helpful and making sure you had a good time. Had a few issues with my snorkeling mask as the ventilator was leaking and I have a small face. So I needed a childs mask, which they only had a few unfortunately the ventilator part the mouth peace was huge. It took a little work to get comfortable with it but they should have some small mouth pieces on board. Loved watching how to open a conch shell and had an opportunity to see a yellow tail shark. The Half Moon Bay stop over was beautiful and be sure to go see the lagoon. There island which was made by a hurricane is breath taking. All in all, it was a good time and would recommend the tour. This was the perfect afternoon on the island!! 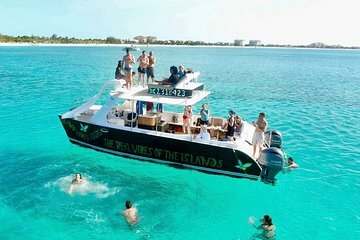 We started with snorkeling and then just a fun day on the boat with plenty of rum punch, exploring iguana island for a bit and then ending the day jumping off the diving board and the slide on top of the boat. It was really cool to see them make conch salad from scratch. The tour guides were very nice and fun. I would highly recommend this tour! Steven and Manny were our hosts for the morning snorkeling trip and arrived very promptly to pick us up at 9am. Getting aboard was a little challenging as it was rough at the waters edge but Steven with his great docking skills made it a smooth transition. They were a fine professional team with great humor, energy and enthusiasm! They were very informative about the island and clearly loved their jobs and were proud of their heritage as natives of Turks and Caicos. Safety instructions were reviewed for the boat and snorkeling stop. The only changes to the description of the tour is that it should no longer be stated that they dive for the conch. 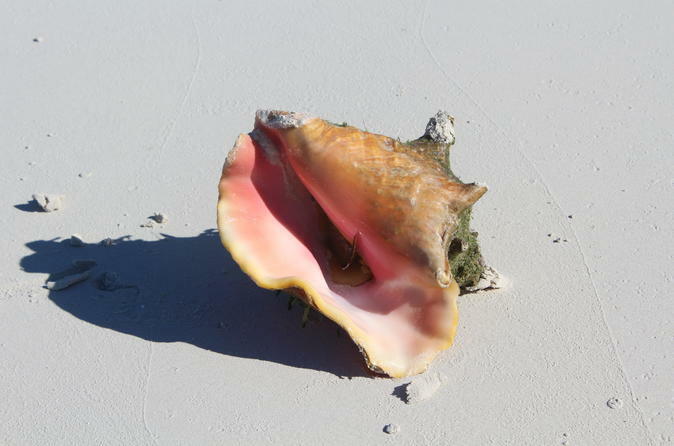 There is now regulation that prohibits diving for the fresh conch without a license. The conch is brought on board prior to the trip and a tasty lunch prepared with a good variety of sandwiches. Iguana Island was interesting in that this is the only island that has resident iguanas in the world.  Recommend this for first time snorkelers and all who love a boat ride surrounded by incredible natural beauty of white sand beaches and ever changing ocean aquamarine colors. I would have loved to have done one more snorkeling stop if time allowed.